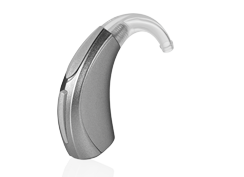 At Tustin Hearing Center, our approach to your hearing will change the way you think about hearing aids! Your decision to hear better may be one of the most surprising and rewarding experiences you could have. With a passion for patient care, our entire staff strives to excel in all aspects of hearing care. Since 1989, Tustin Hearing Center has helped over 20,000 patients…and still counting! Our philosophy is to provide the best hearing healthcare to our patients for life. We believe that it’s not just about the hearing aid, but who you work with! We offer a wide variety of hearing aid styles to fit your unique lifestyle. Let our experts help you figure out what is right for you. Enable connectivity with iPhone, iPad®, iPod touch®, Apple Watch®, and select Android™ devices. Adjust volume, treble, bass, and more through custom app. Save your different locations as memory settings to automatically adjust back to the saved setting for that specific location. Have vastly improved experiences with popular communication apps like FaceTime and Skype. Hear with exceptional sound clarity, and hear comfortably in noisy situations. Use the GPS feature to find your hearing aids. Stream phone calls, music, and other audio directly to your hearing aids. 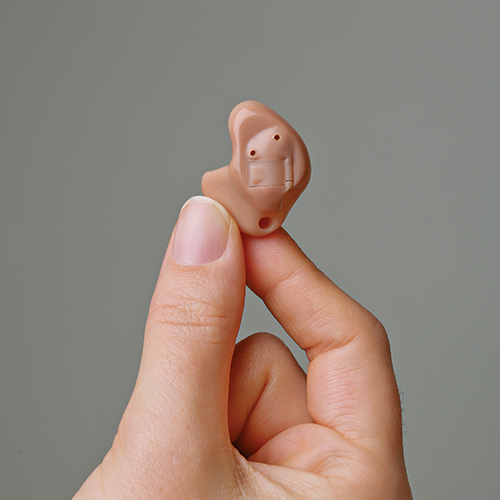 Perfect for many first-time hearing aid wearers. Receiver-In-Canal (RIC) hearing aids are comfortable because they keep the ear canal open to reduce any plugged-up sensation. 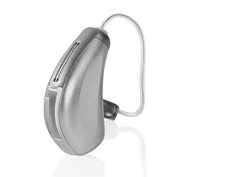 The appropriateness of these hearing devices depends on the patient’s degree of hearing loss. 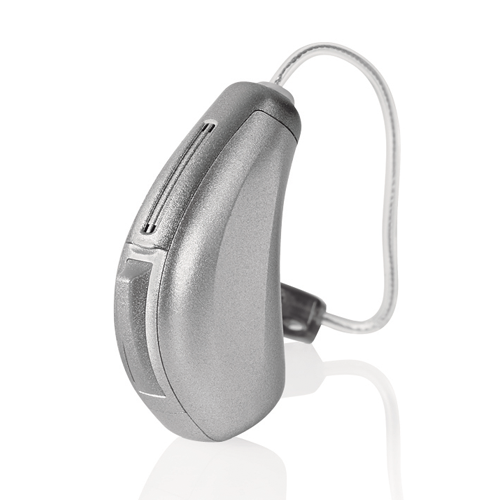 Advanced features may include Bluetooth® compatibility to connect your RIC hearing aids to a phone, tablet, or TV. All RIC solutions have their electronics, microphone, and battery inside a casing worn behind the ear. An ultra-thin, sculpted wire carries the amplified sound to a speaker that fits in the ear canal. 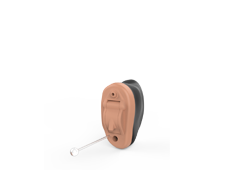 Completely-In-The-Canal (CIC) hearing aids rest inside the ear rather than behind the ear. CICs are the most discreet. Custom made for you in a variety of colors, and easy to adjust. 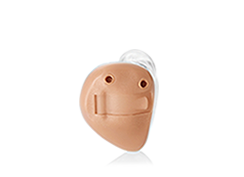 These hearing aid styles are appropriate for mild to severe hearing loss and may include features such as directional microphones, multiple listening programs, a telecoil or Bluetooth® compatibility. 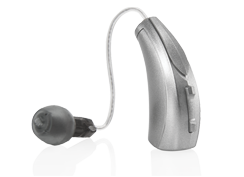 Standard Behind-The-Ear (BTE) hearing aids are modern versions of classic hearing aids, but smaller and more up-to-date. They are equipped with automatic sound processing, and have controls on the instrument to allow you to change your own sound settings in different situations. BTE’s with ear hooks are connected to the ear canal via plastic tubing. 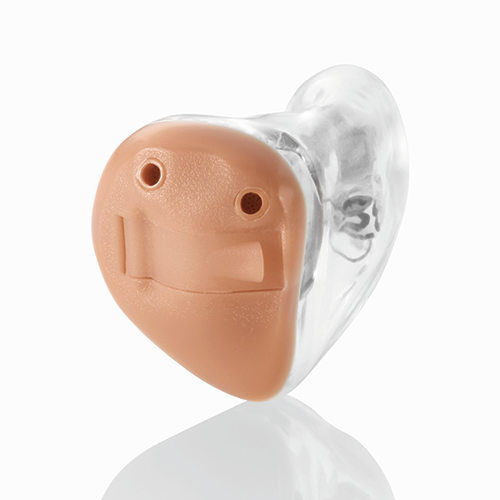 Most BTEs with ear hooks can be fitted with a very cosmetically appealing thin tube solution. BTE’s are appropriate for hearing loss from mild to profound. Directional microphones, multiple listening programs, telecoil, and Bluetooth® compatibility are available features. This traditional hearing aid style is a good choice for pediatric patients and individuals with excessive moisture and accumulative cerumen (earwax). 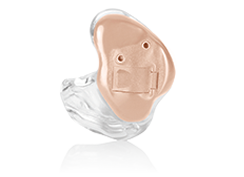 In-the-Canal hearing aid fittings are custom-molded devices that sit just at the opening of the ear, and provide comfortable, discreet assistance for people with all types of treatable hearing loss. They can be built with an external control such as a push button to meet your specifications for quick and easy adjustments. In-the-Canal hearing aids are easy to insert and remove, won’t interfere with wearing glasses, and because they are custom molded offer all the benefits of a personalized, custom fit. 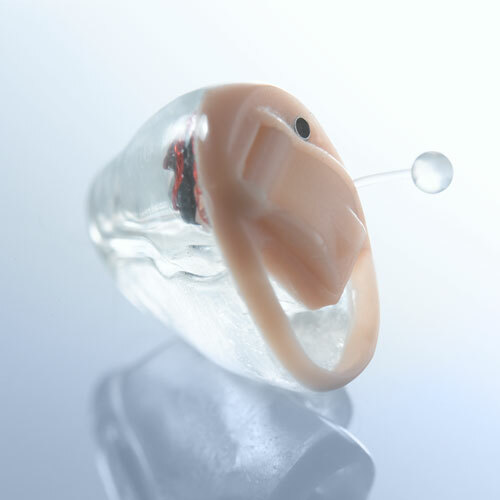 In-The-Ear (ITE) hearing aids fit within the outer portion of the ear. Custom made for you in a variety of colors, and easy to adjust. 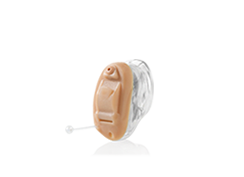 These hearing aid styles are appropriate for mild to severe hearing loss and may include features such as directional microphones, multiple listening programs, a telecoil or Bluetooth® compatibility. 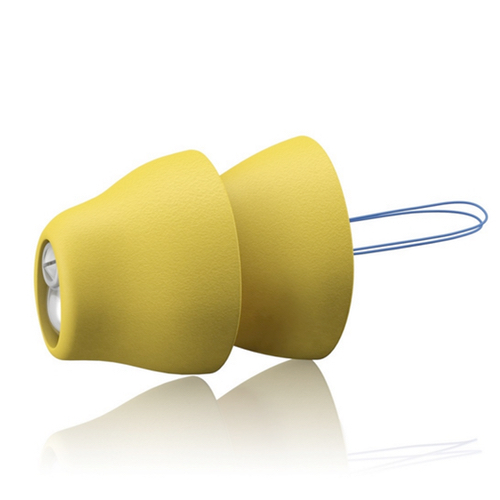 Designed to deliver the one thing every person with tinnitus wants — relief! Our Tinnitus Technology Products create a customizable and comforting sound stimulus that you and your hearing professional can fine-tune to soothe the unique, irritating sounds you hear and take your focus off of it. CROS and BiCROS Hearing Solutions – A way to hear both sides of the story. These devices are an excellent solution for individuals who are deaf in one ear and who hear normally in the opposite ear and for individuals who are deaf in one ear and have a hearing loss in the opposite ear. I'M JUST A HEARING AID. I’m the key to a better way of life. Tustin Hearing Center has six Audiologists that bring a depth of experience, knowledge and skill. 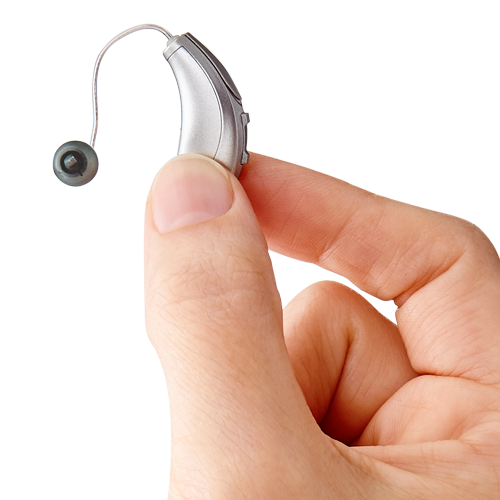 Our Doctors of Audiology have the ability to hand select the best technology in the hearing aid industry, and only work with the top hearing aid manufacturers and most advanced and effective hearing aids available! These top manufacturers include Starkey, Oticon, Widex, Resound, and Phonak! 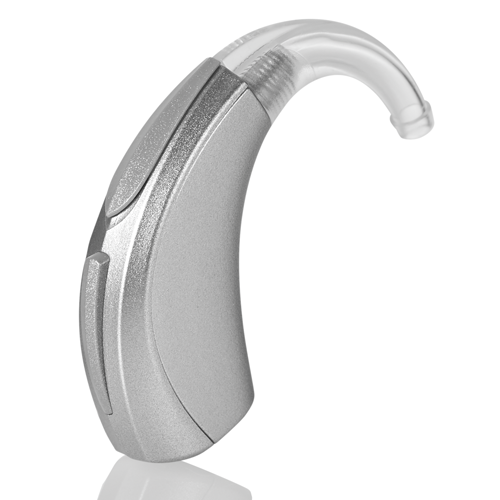 Hearing aids today are digital, wireless, rechargeable and discreet. Some are even invisible – such as Phonak’s Lyric hearing aid. We work closely with you to have a clear understanding and explanation of your personal hearing situation so we can provide hearing aid recommendations tailored to your needs, lifestyle, and budget - with complete follow up care!